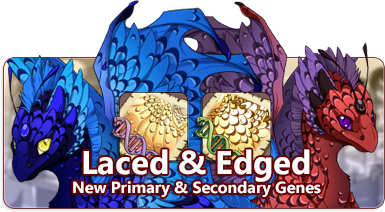 The dragons have something new to crow about: Laced and Edged have arrived! Dragons with delicately layered patterning are now appearing all over Sornieth. Laced and Edged will apply a feathered scale pattern across the hide of your dragon. These genes are now available in the Treasure Marketplace. A scroll that will change the primary gene of one dragon to Laced. This item can only be used once and will disappear after it has been applied. A scroll that will change the secondary gene of one dragon to Edged. This item can only be used once and will disappear after it has been applied. The sixth annual Wavecrest Saturnalia will begin April 21, 2019, and we're running a skin and accent contest in celebration! Click here for more information! 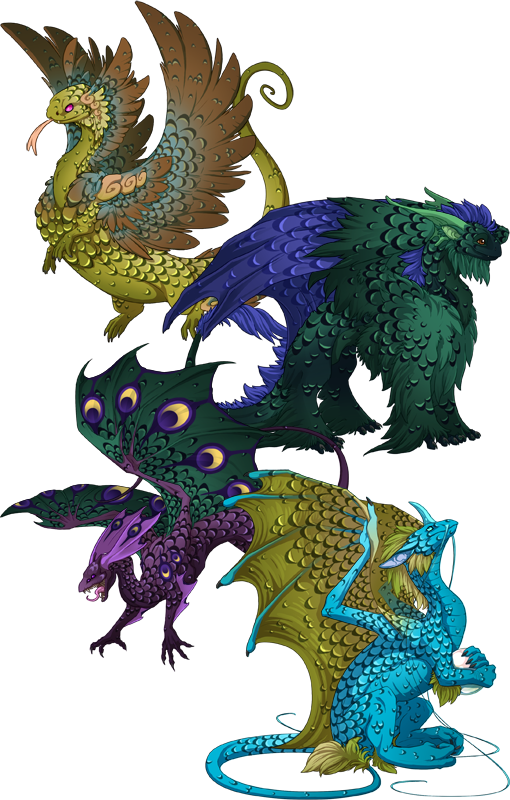 There are new emoji expressions for Spiral and Pearlcatcher dragons available to use around the site. Check out the dragons I have for sale in my lair.